Lobster Roll at Pastor's Place on Dupont Road. Nutty Kale salad at Pastor's Place on Dupont Road. Caramel cheesecake at Pastor's Place on Dupont Road. Freshly baked breadsticks at Pastor's Place on Dupont Road. 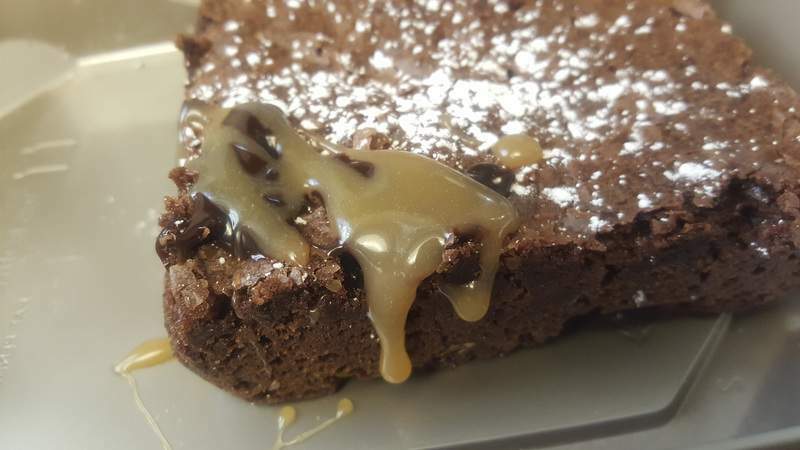 Chocolate brownie with caramel sauce at Pastor's Place on Dupont Road. Hummus plate at Pastor's Place on Dupont Road. Tornado Nate sandwich at Pastor's Place on Dupont Road. Tuna salad croissant sandwich at Pastor's Place on Dupont Road. Clam chowder at Pastor's Place on Dupont Road. 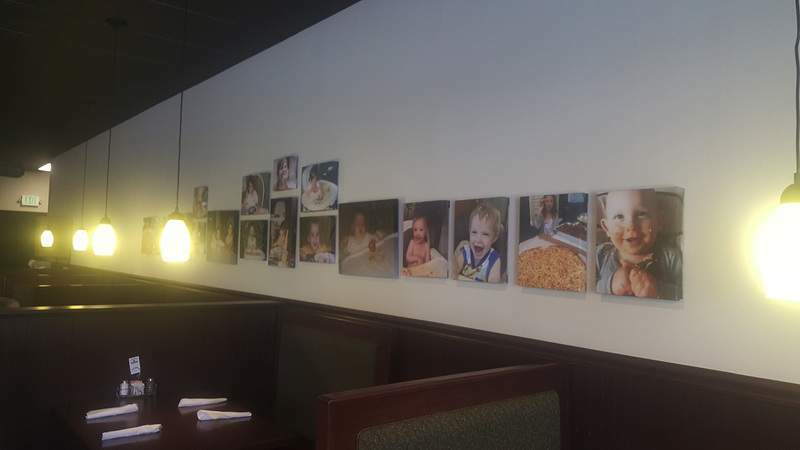 Photos of children eating is the highlight of the decor at Pastor's Place on Dupont Road. Ultimate Grilled Cheese at Pastor's Place on Dupont Road. Pastor's Place on Dupont Road. Asian Sesame Ginger salad wrap with ahi tuna at Pastor's Place on Dupont Road. 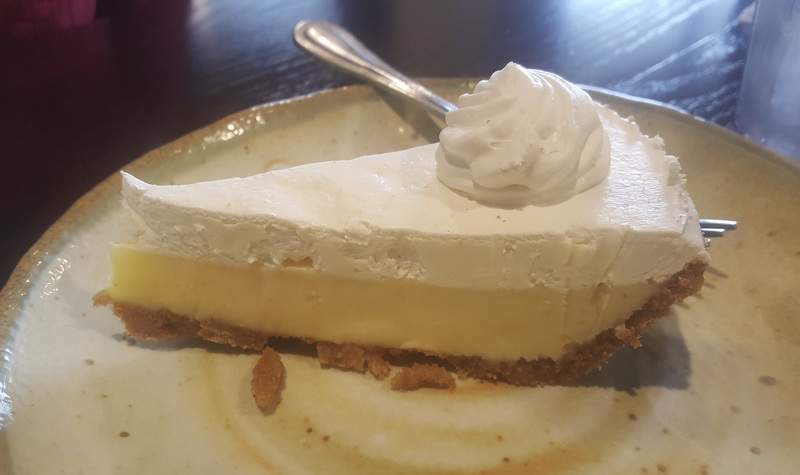 Key lime pie at Pastor's Place on Dupont Road. This is their place, there is no doubt about that. From the excellent service to the top-notch food to the friendly feeling the place gave off – I felt like a regular even during the first visit – Pastor's Place on Dupont Road exemplifies the excellence diners were used to when Chuck and Kara Pastor managed Cork 'N Cleaver and when they owned Chop's. 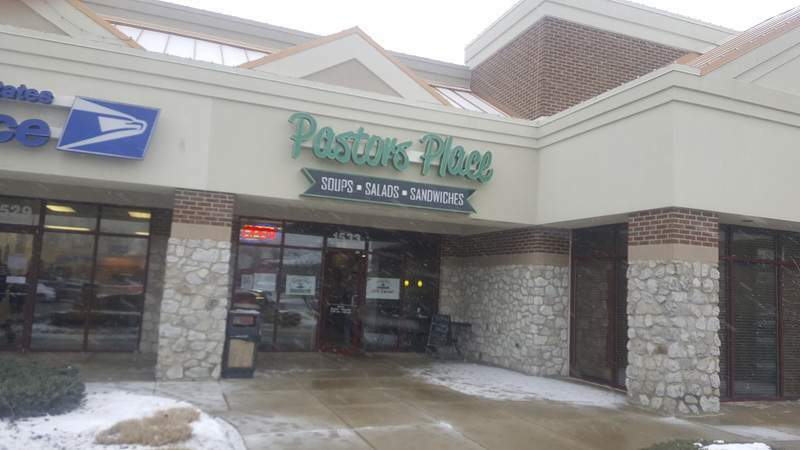 This place, which is in the Northbrook Village plaza near Lima Road, is not a fun little hobby for them, either. Chuck was working the host station like a champ, taking names and shuffling to help clear tables to get people seated on a busy Friday afternoon. And there was Kara, scrambling from table to table helping bring food, checking on diners and checking tickets to make sure everything was going to the right place. Their lunch-only spot, which opened a year ago, impressed me more than Chop's did at its peak. And given all the others packing the place, I am not alone in thinking so. 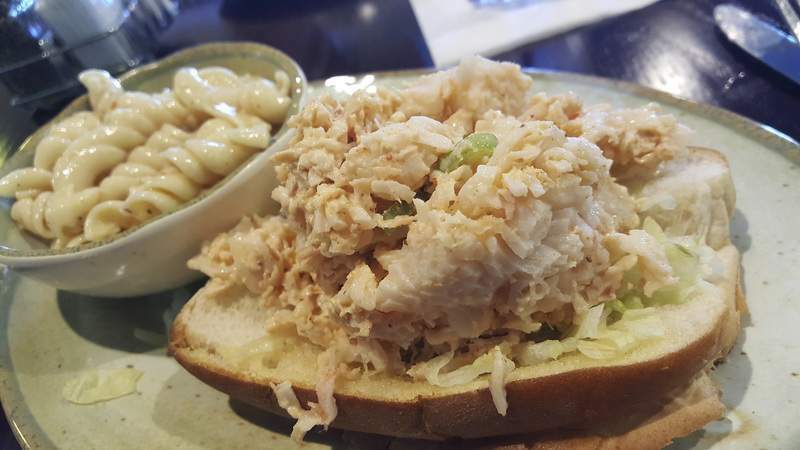 Pastor's Place is a deli-style sandwich shop not unlike many others, but its menu features some items that are not at all like what its competitors are offering. When I saw a lobster roll as a menu staple, I got a little giddy as there are few places that ever offer them and none I know of that have it every day. Pastor's version was done in the traditional style with chunks of sweet, tender mayonnaise-dressed shellfish, crunchy celery and a little shredded lettuce on a toasted split-top, white bread hot dog bun. The sandwich was so full, I had to eat nearly half of the lobster out of it with a fork before I even considered picking it up. The uniqueness came in the seasonings. Yes, it had Old Bay, but there was a subtle kick of spice from a little cayenne that caught me off guard. It wasn't unpleasant or overly hot, and I kind of liked it. I will be back for that roll again soon. Pastor's Place also served me a memorable salad that will bring me back. The addition of granola to the Nutty Kale Salad was an eye-opener and it worked wonderfully, giving it a great crunch. 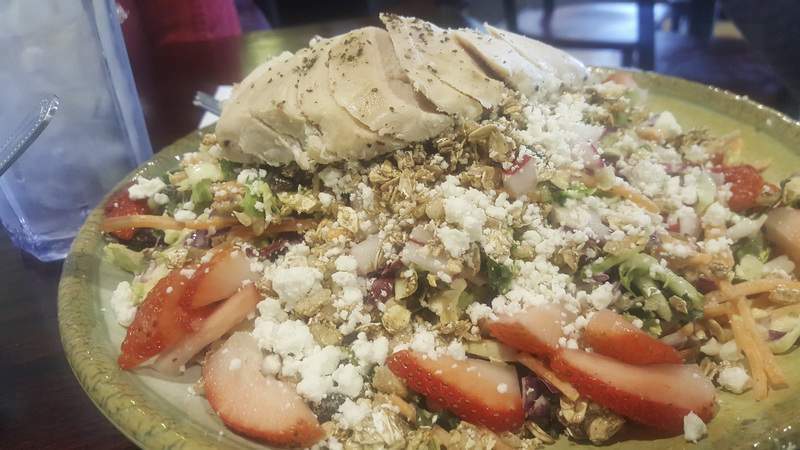 All of the ingredients on this salad – a blend of kale and other greens, goat cheese, strawberries and radishes – were finely diced or crumbled, reminding of a chopped salad. It was a nice touch that made it easy to enjoy, as did the honey-mustard dressing, which was delicious. I added tender, nicely seasoned chicken breast to mine and was as happy as could be. 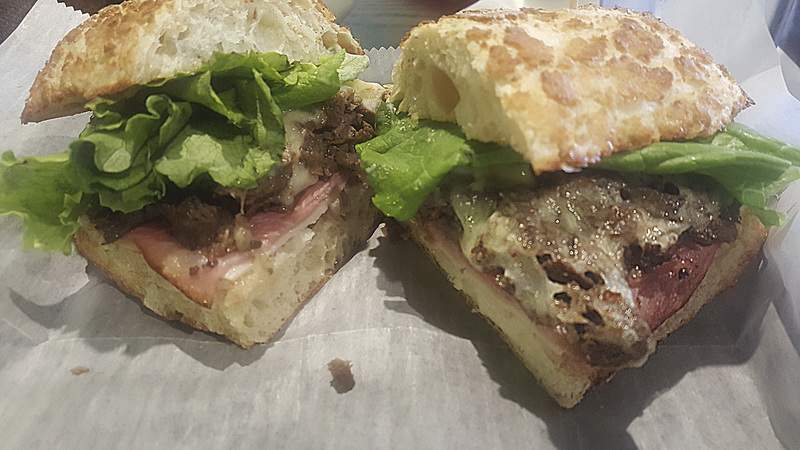 A sandwich that was sort of a throwaway for me, proved to be anything but. 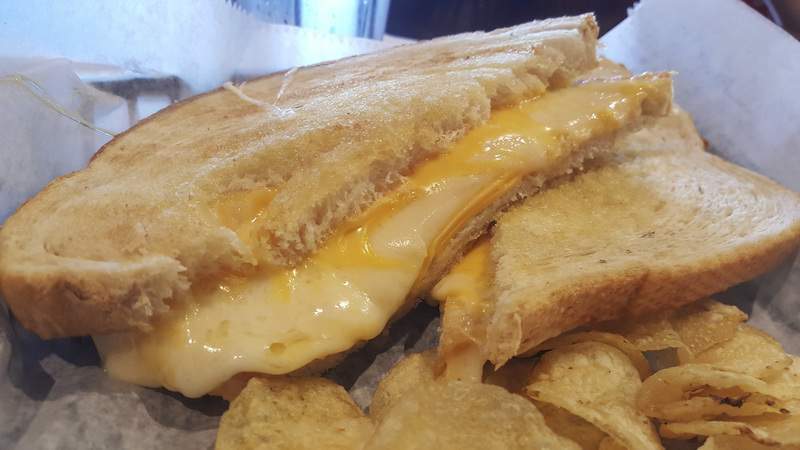 When I saw tomato bisque was the restaurant's staple soup, I had to have an Ultimate Grilled Cheese with it. Well, that grilled cheese was marvelous. American, Swiss and provolone oozed from it and the light artisan sourdough bread was lightly buttered and perfectly toasted. The bisque was also fabulous, but not as fabulous as the New England clam chowder – the perfect mate for that lobster roll. 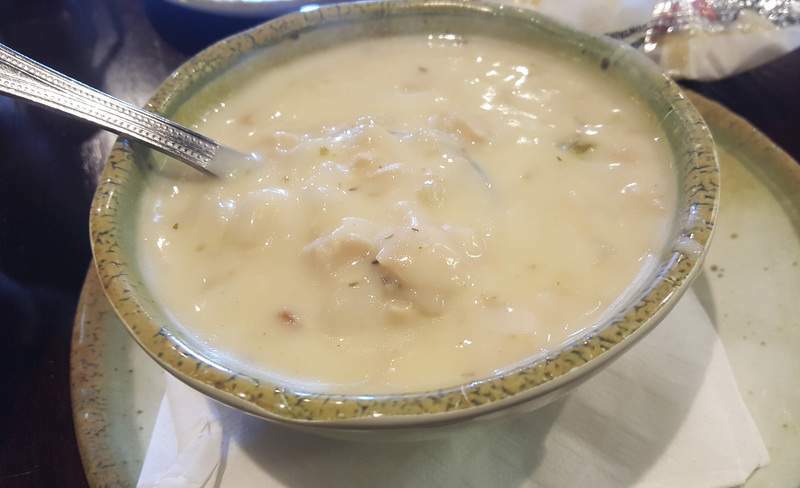 The chowder had tons of clam, the essence of which could be tasted in every creamy bite. This was not a potato soup with a few clams, this was a clam soup with a few potatoes and some celery. It was seasoned perfectly and could not have been better. 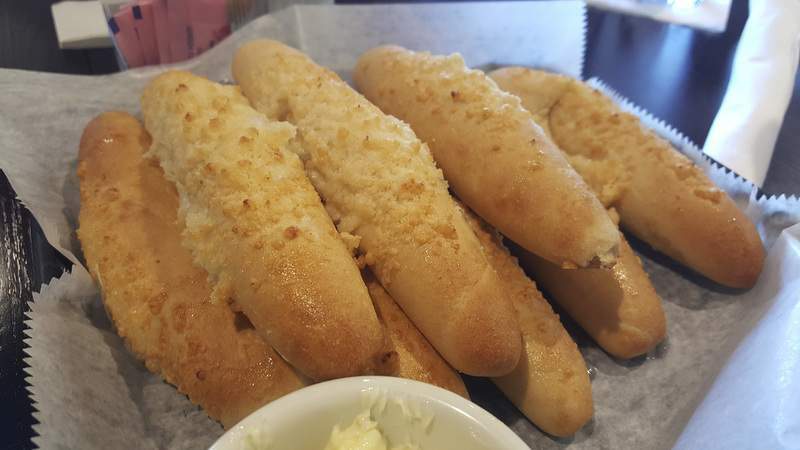 The house-baked breadsticks were good with a lot of pungent Parmesan on top and melted butter to slather on them. 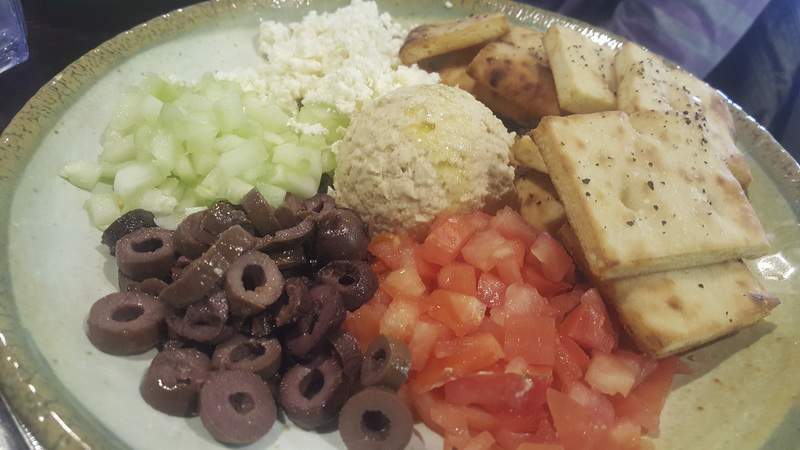 The hummus plate featuring black olives, tomatoes, cucumbers, feta and nicely toasted pita chips had a generous amount of spot-on hummus, but I would probably always choose a soup over both. If you choose pasta salad as a side, go with the creamy version over the Italian as I found it to be the better of the two. Homemade chicken and tuna salad were on display in the deli case up front and I had to try a little of each because they looked so good. Both can be had as sandwiches, but get one of the flaky, buttery croissants for it, trust me. 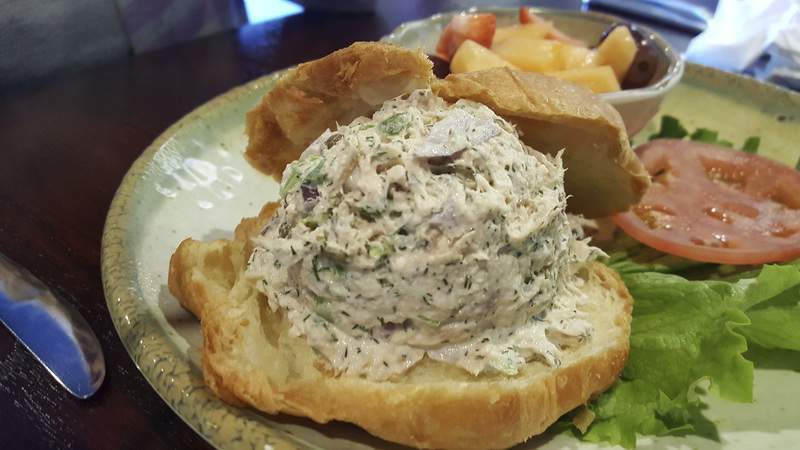 The tuna was packed with herbs and capers, which made it stand out, and the chicken salad had halved grapes to give it a touch of welcome sweetness. Many of the sandwiches at Pastor's Place were more inventive than the norm. The Tornado Nate – named after Chuck's father – sounded daunting with pot roast, ham, turkey, salami and Swiss cheese, but it wasn't too over the top. It had just the right amount of each meat with the tender, juicy pot roast being the star. The chipotle mayonnaise was deftly added, it had a little lettuce for crunch and the toasted Dutch crunch roll from a Chicago baking company was fabulous. I will ask for au jus – scratch made and included with the equally as tasty roast beef melt – with it next time because I think that would lift it to even higher levels. 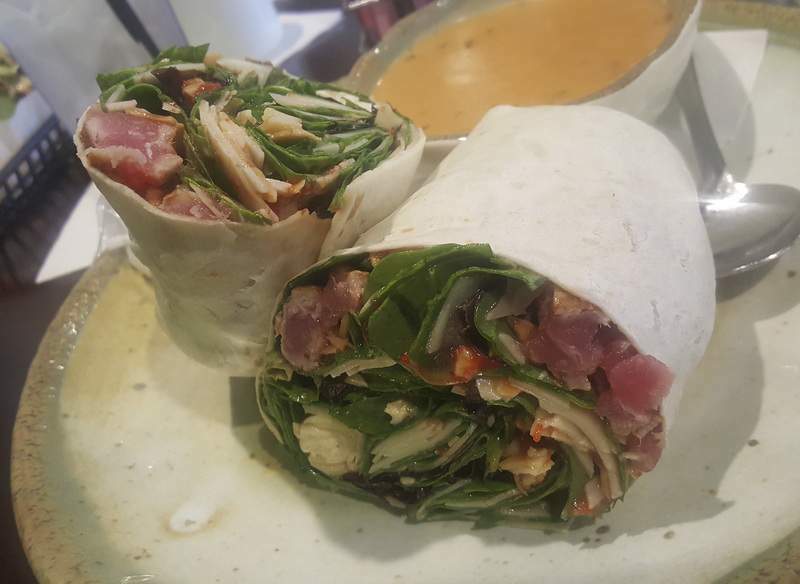 I loved being able to choose one of the salads and add a protein to create a wrap. The Asian Sesame Ginger Salad seemed like the perfect vessel for ahi tuna and it was a beautiful plate of food – pretty much everything here was plated with thought and respect making you want to eat it even more. The tuna was plentiful, the dressing was not too strong on soy, the tortilla was soft and the greens crunched. My only mistake was having it with the included Parmesan cheese because mixing that strong cheese with tuna was a mistake. But I will have it again sans cheese. I will also be having cheesecake from Pastor's Place again. Dessert is a must here. From big, chewy chocolate brownies to the perfectly tart key lime pie, they were all fabulous. 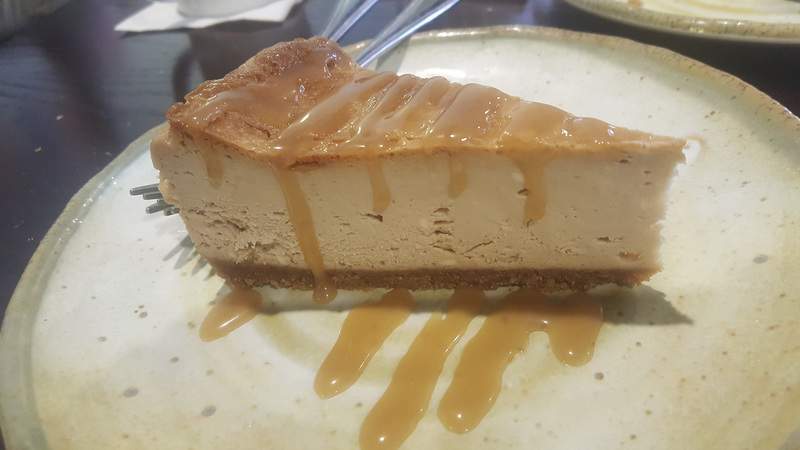 The salted caramel cheesecake – all the varieties of cheesecake are made in-house – was my favorite with so much caramel in the cake itself it really didn't even need a drizzle of the sauce. And don't even think about adding chocolate because you will want to savor the caramel on its own. The decor at Pastor's Place was simple and modern, but it had just the right personal touches – a wall is covered with cute photos of the Pastors' and employees' children as babies chowing down and making messes of themselves. It was also perfectly designed so diners are not sitting on top of each other, making conversation seamless. It also has a conference room you can reserve.